"Taking pictures, I hope they gettin' my good side..." proclaims the Albany born J DaVon Harris. 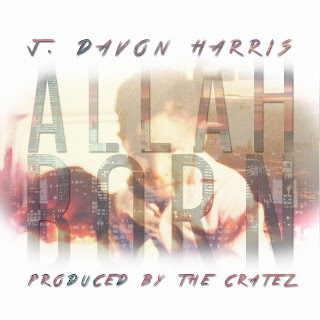 His latest release "Allah Born" gives us a deep look into where J DaVon Harris gets his street savvy approach to his music. Hustler music at its finest without all the "rah rah" the "trapped out" music of today brings. With production from "The Cratez" "Allah Born" stays true to its classic hip hop feel with an up to date sound. J gives us the hustler flow while The Cratez help the flow take us on a ride from the block, through the streets and when the streets get too hot, down the back blocks. WORDS FROM J DAVON HARRIS HIMSELF "This record went from being a song about home, to the song that brought me to perform for Source Magazine representatives to becoming Source Unsigned Hype... Listen, Enjoy and Share this record ... The Grind Never Stops... ALLAH BORN STAND UP!" VIDEO COMING SOON.